I recently cleared out the last of my stuff from my parents home. Hadn’t quite realized I’d left so many things behind in a place I haven’t lived in more than a dozen years. One of the things I left behind were my old G.I. Joe action figures. I loved those things. Played with them all the time as a kid. And now they look like it. 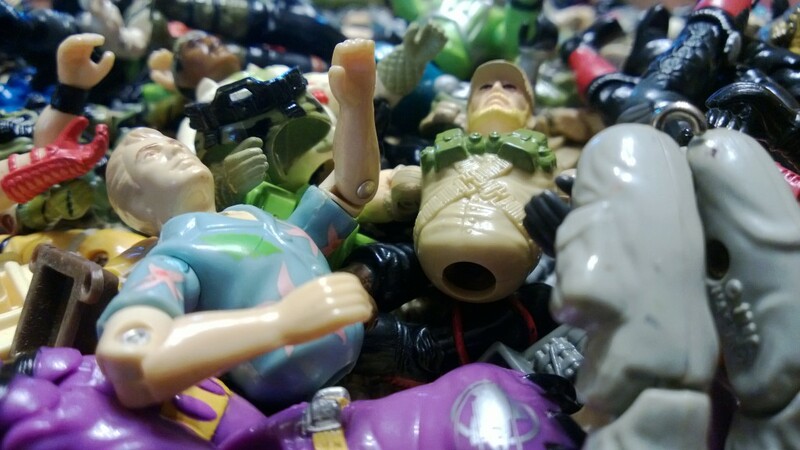 The figures are worn down, the details faded, their body parts all separated. The rubber bands that once held them together are dried, brittle and broken. As a result, I’ve been left with a bag full of torsos, waists and legs just living free. Disconnected. So I’ve decided to put them all back together again.